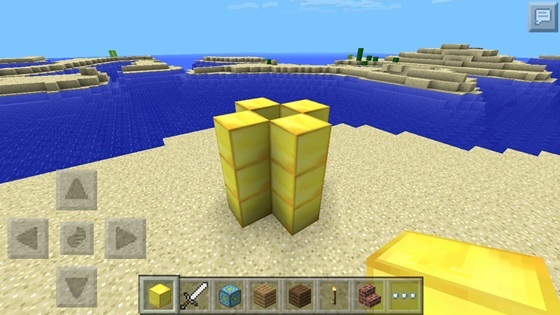 For-Minecraft.com » Minecraft Pocket Edition » How to make a gun, shooting cows in Minecraft! Firstly, you will need to make diamond-shaped tower, which will be a height of 3 units. It should look like the picture shown below. Do not forget to leave a space in the middle. It is used for storage and the activation cows gun. Once you have created your tower, take the egg-spawner cow or any other (sheep, cow mushroom, etc.) 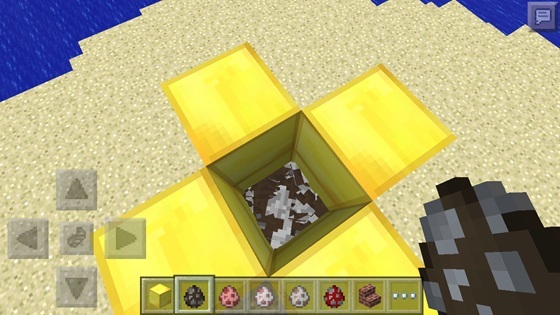 Use an egg to spawn dozens of cows in the space within the column. The more animals you have, the crazier effect! 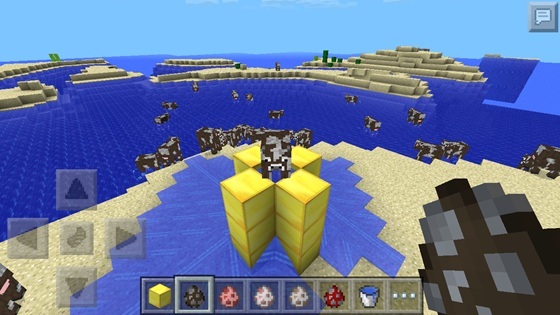 Once you have created a bunch of cows, you can activate the gun! To do this, you have to take a bucket of water and put the water inside the tower on the top shelf. Now, just wait a few seconds and chaos will! I photographed the cows escaping from the tower, and it's one of the funniest things I've seen in MCPE!